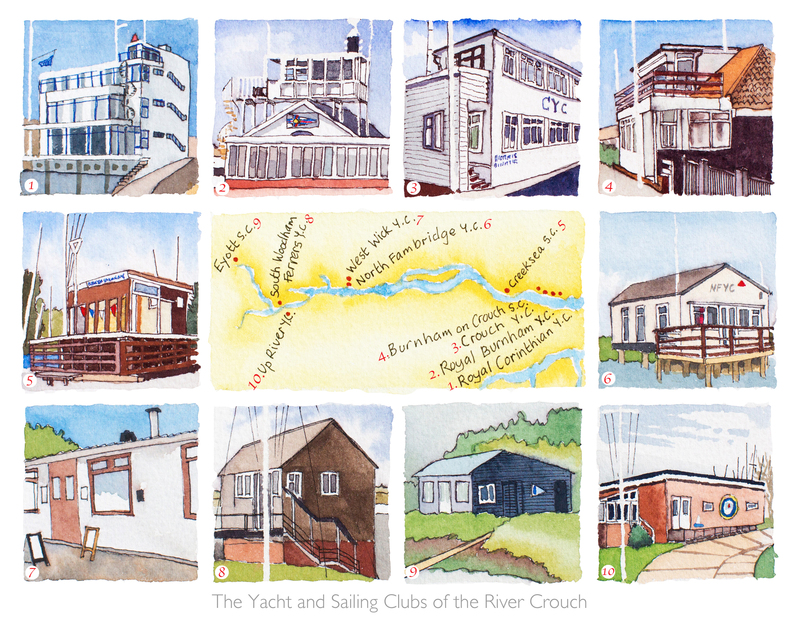 All 10 Yacht and Sailing Clubs that are situated around the River Crouch in Essex. 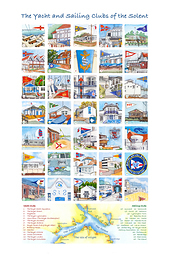 The map in the middle has a key to idintify the clubs. Royal Corinthian, Royal Burnham, Crouch, Burnham on Crouch, Creeksea, North Fambridge, West Wick, South Woodham Ferrers, Eyott and Up River clubs. Signed Limited Edition of 250 This image also available as a greeting card.